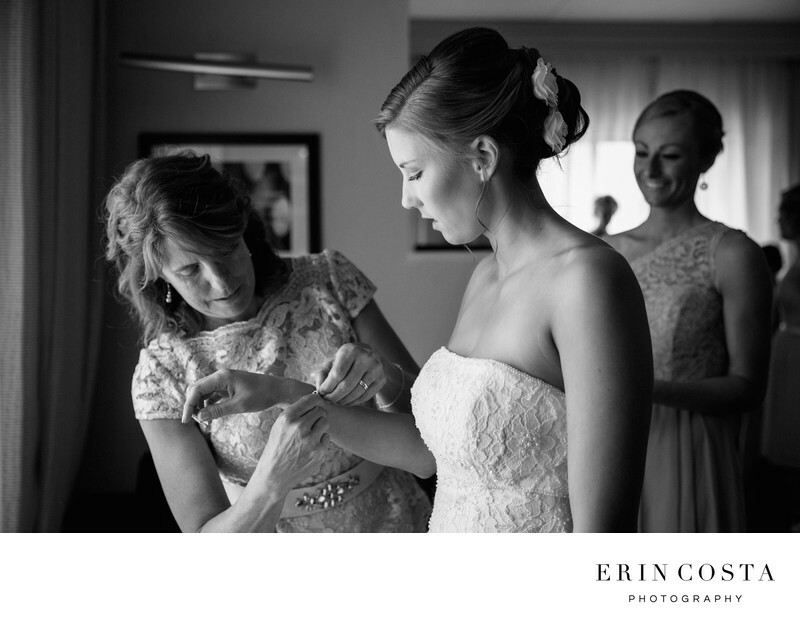 I love this black and white wedding image of Sarah and her mom. Her mom is putting on her bracelet and helping with her final touches before she walks down the aisle to say her vows at the Atrium. Her and Chris celebrated their wedding reception in downtown Wilmington at 128 South on Front Street.